What can be done when you lose a cherished tree? In most cases, a tree removal contractor will dispose of the tree by cutting it into an appropriate size and placing it on the street where the municipality will remove and then mulch it, or they shred and haul it away. In many cases, suitable portions of the removed tree are recycled as firewood. Either way, most of the removed trees in the area are recycled as either mulch or firewood and we applaud these recycling efforts. However, mulch and firewood are a fairly “low-end” reuse of trees, and release the sequestered carbon dioxide, adding to the carbon footprint. 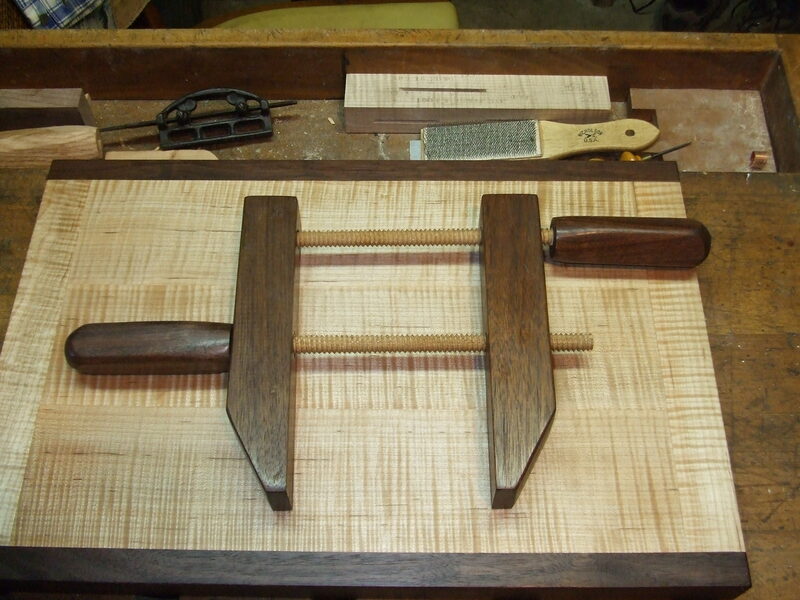 Many urban trees are large, very desirable species and often contain valuable woodworking-quality lumber. Thus, reusing suitable trees for “higher-end” purposes such as cabinet lumber, flooring, or paneling is certainly a worthwhile pursuit. The problem is how to convert that yard tree into something useful after the tree is cut down? The answer is that it can be done with a great deal of effort and hard work. However, we hope this process will get easier over the coming months with the help of the TreeStewards website. Our blog can be a “central clearing house” where ideas and goods might be exchanged among tree removal and hauling concerns, small-scale sawmilling operations and end users. End users could consist of woodworkers needing either lower-cost lumber or wood species/types that are not generally commercially available. End users could also consist of home owners with trees that would like to have them processed into usable lumber. Just to kick things off and demonstrate that it is possible, and potentially profitable, I’ve posted some photographs. The large walnut tree was donated by a homeowner in Arlington who had to remove it for remodeling reasons. 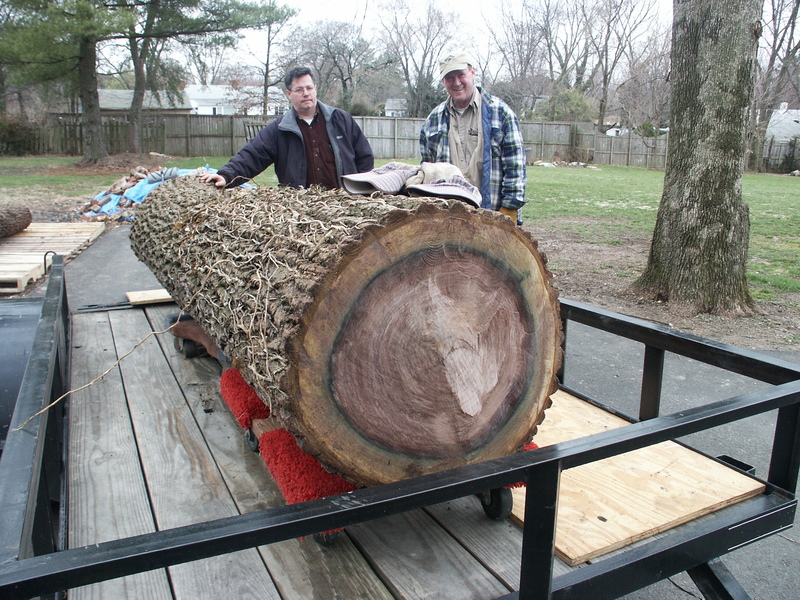 The tree was transported to a small-scale mill in upper Montgomery County where it was sawed into 1″ boards. The boards were air-dried in my back yard and where the boards eventually reached a moisture content in the 10%-12% range. This was fine for the type of work I was doing. However, they are a number of local small kilns where further drying can he obtained if so desired. Among other household items, I converted some of the boards into a cutting board and woodworking hand screws that are depicted. Again, this is just to show that it is possible. With walnut costing what it does, it was probably worthwhile from a financial viewpoint. It was a lot of hard work but it was very rewarding. There is no price that I can assign to the rewarding feeling of sawing an urban tree into boards and then crafting them into useful household items down in the basement workshop. Have a tree you think can be recycled or want to get recycled wood? Use the green “Plant a Seed Suggestion Box” to the right and use the phrase “Tree Recycling” and it will be forwarded to me. Hopefully, this will be a catalyst for bringing interested parties together with the ultimate goal of collectively converting a much larger quantity of urban trees into lumber than is currently being done. This entry was posted in Community Service, Education, Uncategorized and tagged recycling. Bookmark the permalink.